This chapter covers the key people and economic issues of the Gerald Ford administration. In Congress, there was a strong presence of liberal and progressive politicians, especially after the midterm election in 1974 when the Democratic Party scored impressive victories. At this stage, few Republican politicians were ready to embrace the new supply-side ideas presented in the Wall Street Journal. 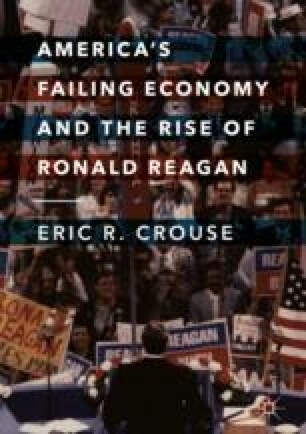 The chapter goes on to explain why economists and others who challenged the Keynesian mindset made little headway in political circles even though high inflation and recession burdened the American people.